Have you ever dreamt of procuring five times more money that you punched in an ATM? Certainly not. But, this dream was realized for people in Rajasthan's Bharatpur district when an ATM dispensed notes of Rs. 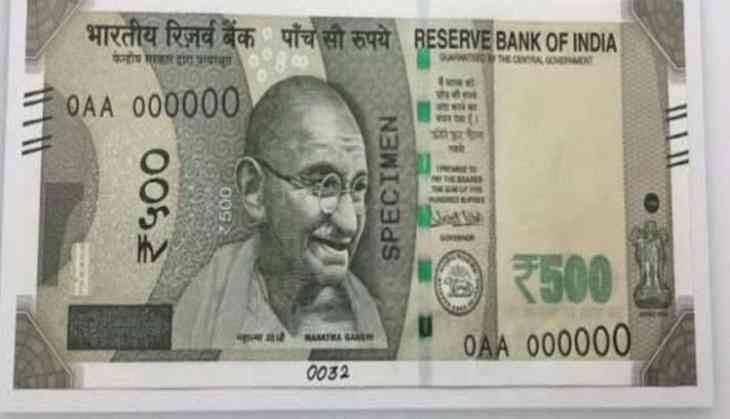 500 denomination instead of Rs. 100! Initially the customers thought that they would have entered a wrong value in the system. As they tried again, the ATM machine installed in Deeg town still dispensed notes of Rs. 500! And people happily went home laughing all the way! As soon as the news of the fault spread, people gathered outside the ATM in long queues and used their cards up to their daily withdrawal limits. The fault proved a lottery for the local people. And, in just a few hours, nearly 250 people used the ATM and withdrew a total of Rs. 5 lakhs. The incident was reported at the Axis Bank ATM in Nay Sarak Area in Deeg early this week. It was rather late when the bank authorities were informed about the situation. The Axis Bank officials are now reportedly trying to find out the addresses of the people who withdrew the money through their debit and credit cards to request them to return the excess amounts. It is being pointed out that some people have refused to return the bonanza. One local resident, Ramraj, said that he had punched in Rs 4,000 and the ATM churned out Rs 20,000. In his case he returned the Rs. 16,000 extra amount the ATM unwittingly dispensed to the bank. Axis Bank (Deeg Branch) Manager Vipul Khandelwal explained that those responsible for loading the currency in the ATM had put the money on the wrong shelf. “The staff who installed the cash into the machine had wrongly inserted Rs 500 into the Rs 100 slot. As a result, the machine dispensed Rs. 500 notes instead of the Rs. 100. The ATM was shut down till the note placement was corrected,” informed Mr. Khandelwal. The bank is still also trying to locate the people with the help of CCTV footage. The information has also been passed on to the circle office of the bank.